In almost constant drizzle, or steady rain, things felt a bit grim on Thursday. But an hour on the river seemed worth a bit of discomfort and with some grannom about a suitable pattern soon delivered this feisty fish. 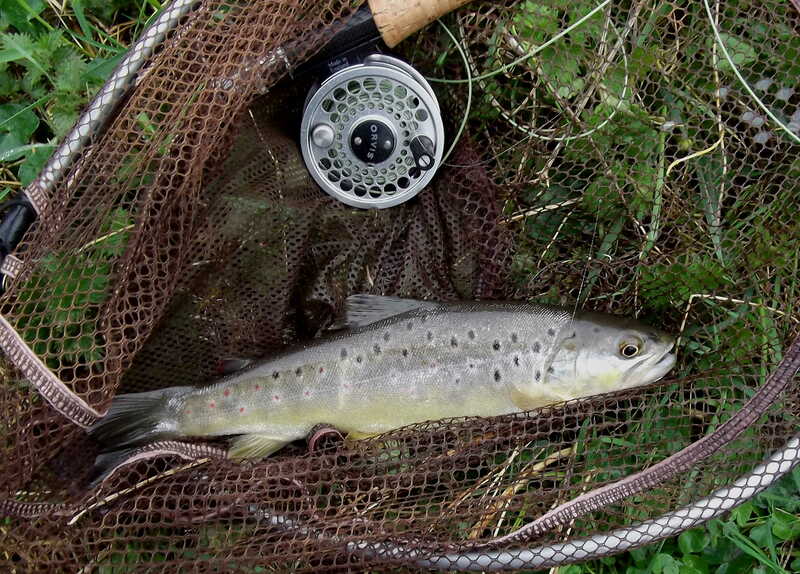 Another better one followed, but sadly it came adrift, leaving a mangled fly and by now a pretty wet fisherman. Nice to have made a start at least.